Is Feidir Linn has not been active in its own right over the last few months, but we have been participating extensively in preparing an upcoming Claiming our Future ‘National Event’ on democratic reform. The Event – titled ‘Reinventing our Democracy’ will take place on the 26th May in Croke Park, Dublin, and we think that many people on the Is Feidir Linn mailing list will be interested in taking part. Democratic reform has always been central to the Is Feidir Linn agenda, and we have brought this concern to the wider coalition within Claiming our Future. Funding cuts to community groups have diminished democracy by limiting their capacity to articulate the interests of those living in poverty and inequality. The limited agenda proposed for the Constitutional Convention exposes the lack of energy in our democracy. We need a ‘high energy’ democracy if we are to emerge from crisis and flourish as a society. We need a democracy that can raise the temperature of politics, develop alternative social and economic models, and embrace both representative and participative forms of democracy. You can read more about the event here, and book here. endured a 14pc pay cut in the past two years. pre-pay-cut salary level — and refused to reveal exactly what he is paid. sector union leaders refused to disclose how much they were being paid. Agreement — have taken a pay cut. assistant secretary grade as Mr McMenamin’s, revealed she had taken a pay cut. However, her potential earnings remain around €153,885. Government’s pension levy and pay cut. that were due to commence at the start of the last school year. to the public sector pay grades their leaders’ wages are linked to. about his pay “intrusive prurience”. county manager, which stood at €171,313 in 2009.
salary on appointment, and also declined a public sector pay award. general secretary Paddy O’Shaughnessy’s pay was. However, other unions were more open about their leaders’ wages. O’Connor‘s basic pay down to €112,000 a year. €45,000 — less than a third of what some teachers’ representatives get. A touch of “I’m all right Jack”! the real needs of the workers! As the Big Freeze gripped the country for the third day it emerges workers at the Electricity Supply Board are getting free electricity. Staff including its €700,000 boss Padraig McManus are entitled to the benefit, according to the Irish Independent today. Nice perk. Electricity workers in Ireland are the best paid in the world bar none with an average wage of €73,000, according to a recent survey by Fine Gael. While discounts are common in the public sector, today’s report will add to the growing pressure for a review of the Croke Park agreement which guarantees pay at the public sector, particularly at the upper echelons. Padraig McManus is the highest paid semi-state boss in the country. The head of the Dublin Airport Authority isn’t far behind him. I’ll be returning to this subject before next Tuesday’s budget, so if you have any views or historic data on public sector pay email guardian.dublin@gmail.com. I’m particularly interested in comparing levels of pay in the public sector outside Ireland. Meanwhile new figures from the Irish Banking Federation confirm anecdotal evidence the mortgage market in Ireland has been virtually wiped out with an 87% drop in the number of homeloans issued since 2006. The IBF report shows that just 7,621 mortgage were originated in the third quarter of 2010 compared to just over 54,000 in the third quarter in 2006. ” This is as much of a market wipeout as one could have feared just 4 short years ago,” said Frank Conway, director at Irish Mortgage Corporation. “While the year-on-year mortgage comparisons look very grim, it is multi-year trend that best highlights the true carnage,” added Conway. The buy-to-let market has been virtually completely gone. No surprise, given the glut of empty homes in ghost estates, but the figures show there those in the market aren’t able to sell on. This will fuel fears of a third wave of toxic debt in addition to NAMA debt and mortgage debt. The buy-to-let market has not been factored in in any major way to the debate on personal debt, but there could be significant defaults in this area. A government spokesman confirmed today there are 319,000 registered second homes in Ireland, a number inflated by the equity release binge in the boom years when it seemed easier to make money from investing in property than earning a salary or building a new business. Some of these will be holiday homes, some rental properties, and others just empty properties in ghost estates in places like Leitrim where the wealthy bought purely for the generous 10-year tax relief, known as Section 23. 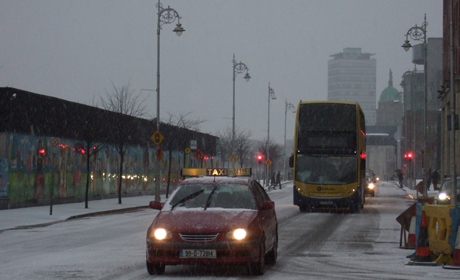 One fifth of second properties are in Dublin. In Mayo, the property binge was so bad, it is estimated that one fifth of all homes are second homes. Many home-owners who splurged out in 2005, 2006, or 2007 will be looking at a 45 per cent decline in value of their second property and could now be struggling to pay that mortgage at a property they can no longer rent, or rent at a sufficient level to cover costs. Back to the IBF figures. In the third quarter of 2006, there were almost 8,000 buy-to-let loans. In the third quarter of 2010, this had to just 254, representing a fall of almost 97%. The only market that shows some sign of life is the first-time buyer market – “it’s down but it’s not out,” said Conway. The figures aren’t as alarming however as those in the repossession court in Dublin where about 70 to 90 cases are listed every Monday. This week there was a glimmer of hope for an unemployed builder who won the right to make a high court challenge over whether UK sub-prime lender, Start Mortgages, should be able to lend in the Irish market. Robert Gunn’s family have been in their family home in Lyre, County Kerry, for more than 300 years but fell in to arrears after he lost his job. Newbeginning, a new free legal aid service set up by a group of barristers to help those facing repossession won a judicial review on his behalf. The case is due to be heard on December 16 and could have implications for thousands of mortgages granted by Start. Gunn’s counsel argued in the high court that Start Mortgages was not legally authorised to lend in Ireland as its assignation as an official “credit institution” was given by the financial regulator. His legal team said that only the central bank had the power to prescribe an entity as a “credit institution”. Start denied the claim and argued it had been prescribed as a credit institution in 2004.
Who will benefit from the early retirement/voluntary redundancy schemes? The schemes will be primarily aimed at staff in managerial/administrative and clerical grades in the HSE, voluntary hospitals and in voluntary health service agencies funded by the HSE. They will also be offered to support staff, such as catering, portering, cleaning and maintenance personnel. Approval for applications from these grades will depend on the number of management and administrative staff who apply and on the basis of the overall budget for the scheme not being breached. How many people will leave? This will very much depend on the categories of staff who opt for the packages. The Government has capped the budget for the schemes at €400 million and if a large number of senior managers choose to go, it will restrict the overall numbers. Minister for Health Mary Harney said about 4,000 managerial and administrative staff could leave. The HSE said it was estimating that between 3,000 and 5,000 personnel could go. How do the two schemes differ? There is a voluntary early retirement scheme, which is open to employees over 50. This provides for immediate payment of pension entitlements on retirement with no actuarial reduction in respect of payment prior to minimum retirement age. Full lump-sum entitlement will also be paid and payments will not take into account the salary cuts introduced in the public service earlier this year. The voluntary redundancy scheme will involve a severance payment of three weeks’ pay per year of service in addition to statutory entitlements, subject to an overall limit of two years’ pay. This could see some senior managers getting €300,000. Applications will have to be submitted by November 19th. Staff who take a package must leave the health service by December 30th. Will all applications be accepted? Applications from managerial/ administrative staff will be prioritized and will be approved automatically, subject to the overall €400 million budget not being breached. How will services be maintained? 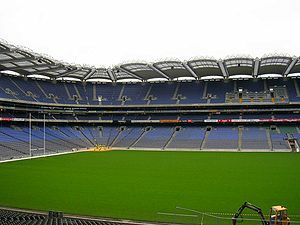 Management plans to use the provisions of the Croke Park agreement to redeploy staff or introduce more flexible work practices. Much will depend on the type of staff who actually leave. It may be easier to maintain services in administrative areas than if a large number of porters or catering staff, for example, from one organization took the packages. Why are these packages on offer now? Since the establishment of the HSE in 2005 there have been questions raised as to why there was no rationalization of administrative and managerial staff given that 11 health boards were being amalgamated. On at least two occasions in recent years the HSE and the Department of Health drew up proposals for a voluntary redundancy scheme but these were rejected by the Department of Finance. With this deal thousands of state workers get to have their state pension up to 18 years earlier and this when the country is broke? We the taxpayers were told back in 2005 that the rationalization of administrative and managerial staff was one of the reasons for the establishment of the HSE in the First place, given that 11 health boards were being amalgamated. Now the taxpayers are again getting a raw deal here and the ordinary Joe public is been shafted once again having to foot the bill again! If you thought things were bad in the Health Service think again we are about to feel real pain now thanks to Harney. Harney your hands are stained with blood and you know the country hasn’t got this 450 million it has to be borrowed why don’t you go and take all your cronies with you?